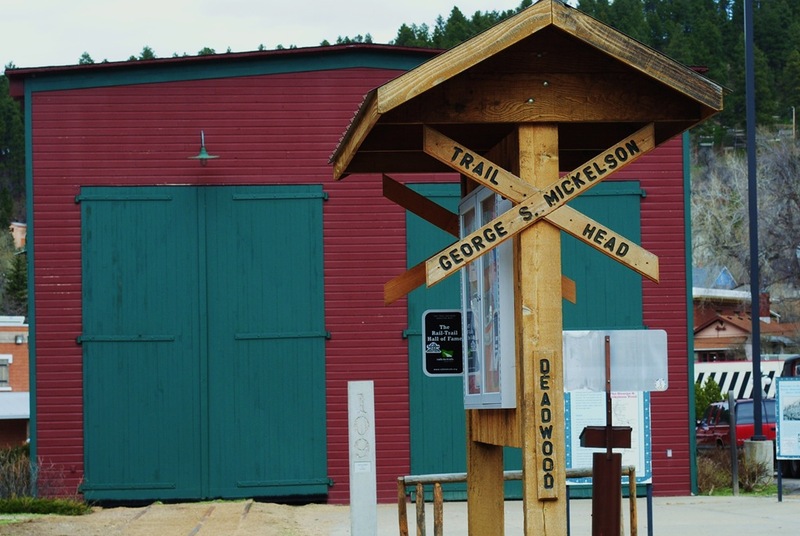 The Deadwood Trailhead of the Mickelson Trail is the north end of the trail, located at Mile Post 108.8. You’ll find it just off Sherman Street in Deadwood by the old CB&Q Engine House (red building in the photo above). 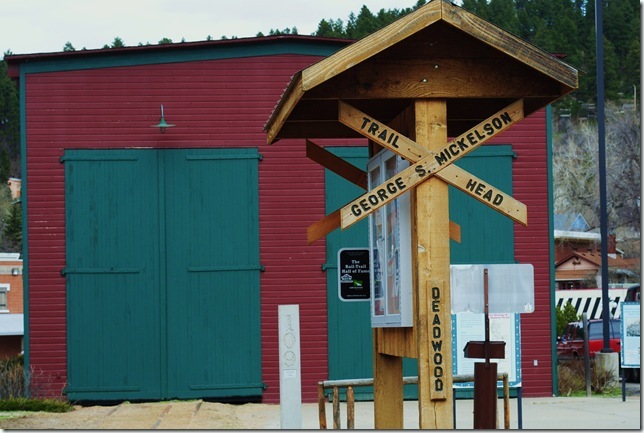 When leaving from Deadwood the trail begins to gain elevation. The trail is mostly uphill all the way to Dumont. The first trailhead you will come to will be the Kirk Trailhead, just 3.5 miles up the trail. As you start to leave Deadwood you go past the Chubby Chipmunk, your last chance to load up on truffles for your journey. You then cross Highway 385 and the trail runs parallel to Kirk road until reaching the trailhead. Rode the trail from Egdemont to mile marker 23(which has water) beautiful but definitely a struggle to go up in elavation for 23 miles. We had to turn back due to rain, which was sad yet easier to ride down, except for the sloshy path. Saw a rattle snake at mile 4. Also it was difficult to find the trail in Edmont. It does not go to the trailhead.it is by the highway and the signs are not correct.